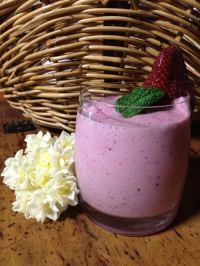 A delicious fruit smoothie for those days when you're feeling like something cold and fresh to kick start your day. 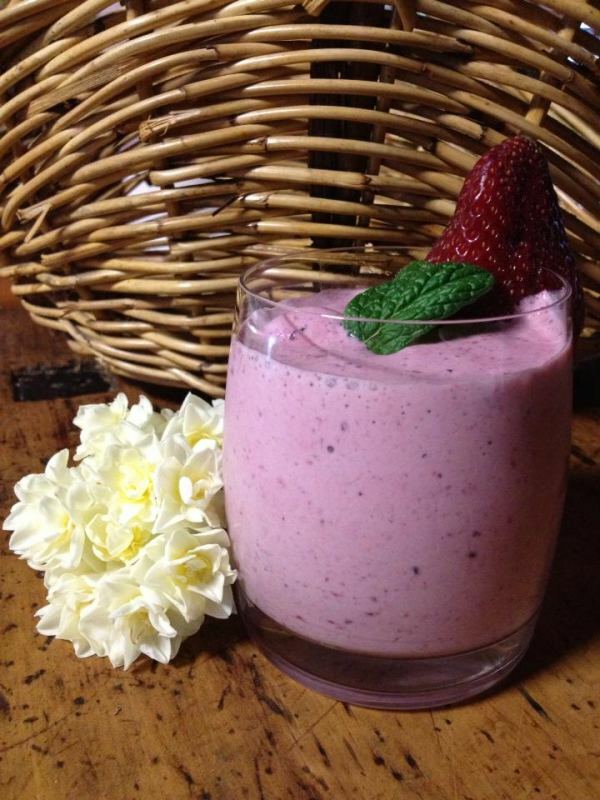 Combine all ingredients in a blender and ... blend! Makes 1 and 1/2 glasses of the glass size shown in photo. Approx. 23g carbs in total.